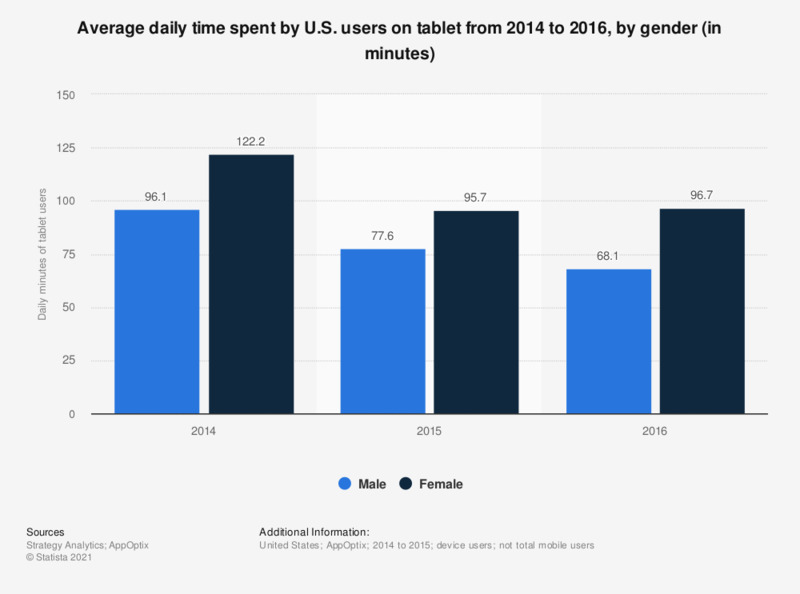 This statistic presents the average daily time spent by U.S. users accessing their tablet devices, sorted by gender. As of 2016, it was found that the average female tablet user in the United States spent 96.7 minutes per day accessing their mobile device. Statistics on "Tablet market in the U.S."
Which of the following devices have you used for online shopping in the past 12 months?